Our leading ladies deserve something special this time of year. 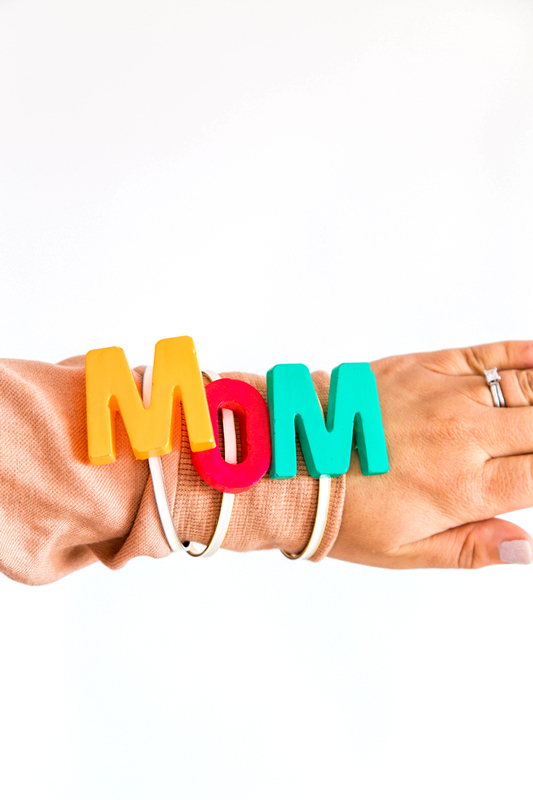 Whether it is a mom who has always stood by our side, a bestie who picks up every time you call, or a bridesmaid who is standing by our side – giving them a DIY monogram bangle makes a huge statement of thanks. 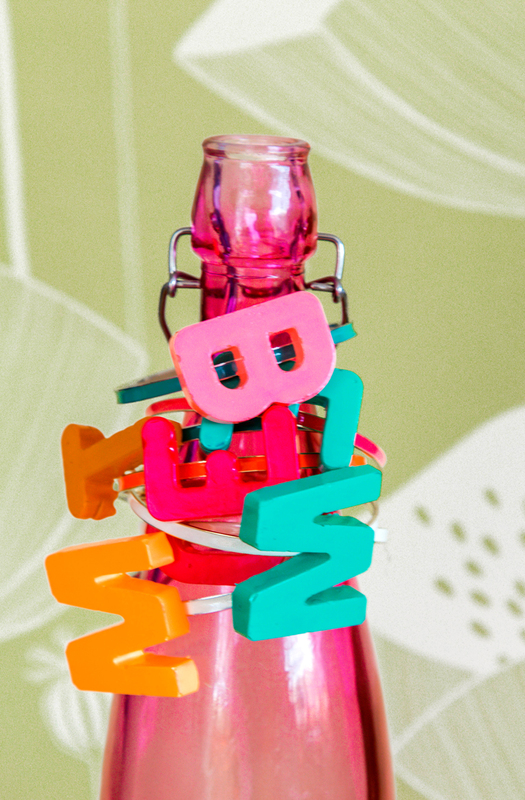 Going the DIY route for Mother’s Day and BFF presents makes for gifts that are filled with thoughtfulness and easy on the budget. We combined monograms on these bangles to create the layered bangle effect and spell out exactly who our favorite ladies are. 1. 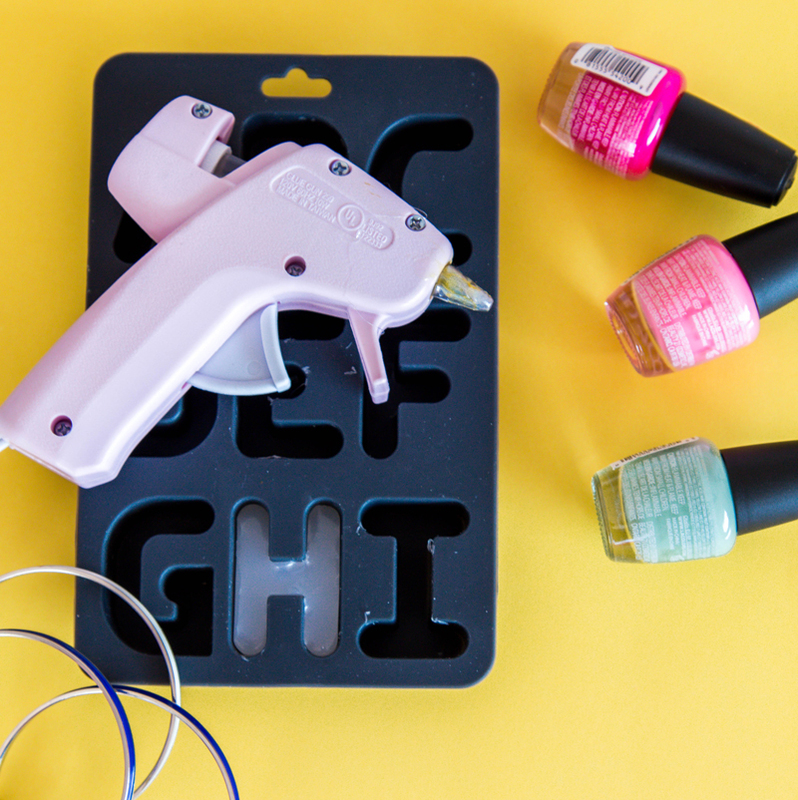 Start by heating up the glue gun and carefully filling the ice cube tray with the hot glue. Allow to cool fully before popping the monogram out of the mold. 2. 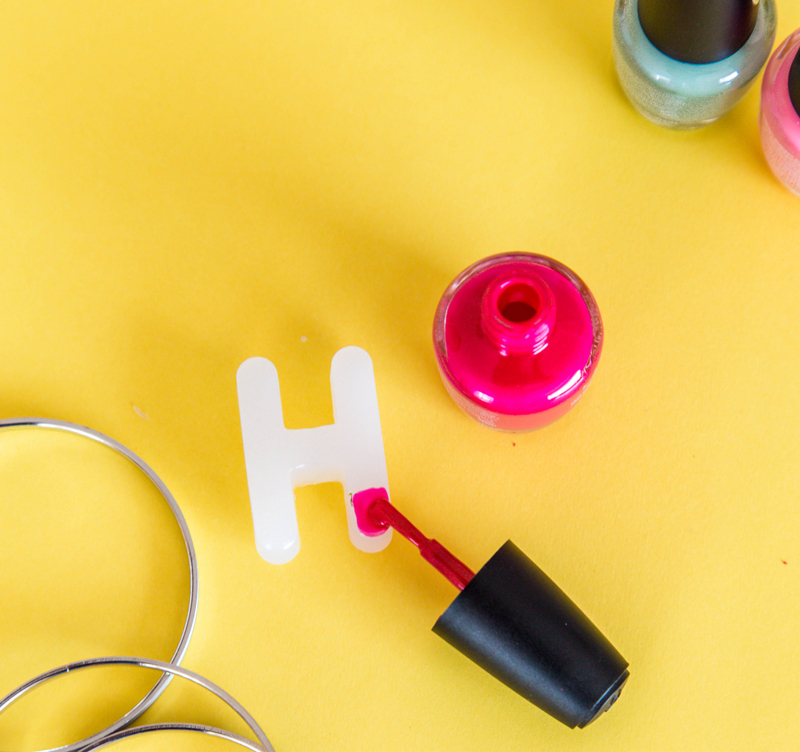 Once the glue has been set, use nail polish to paint the monograms any color desired. 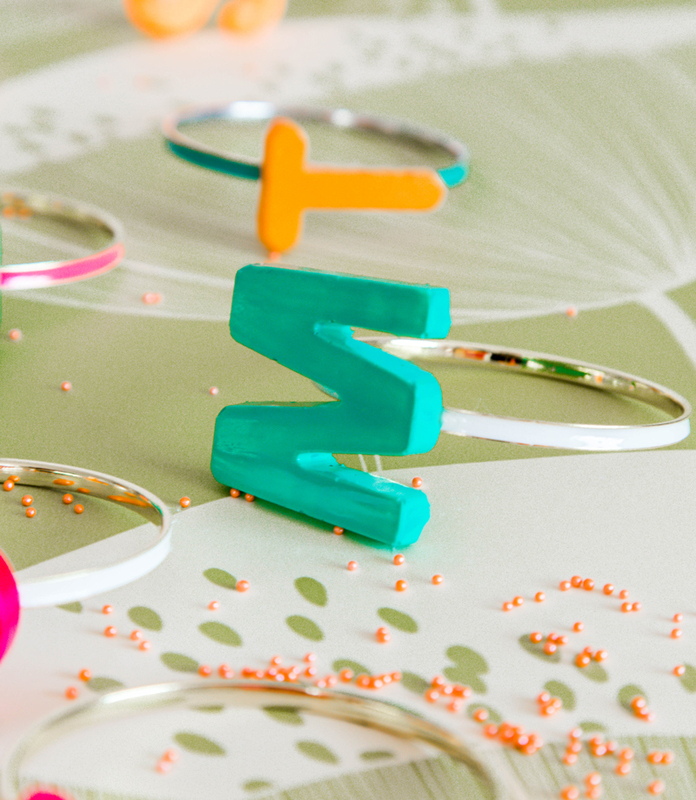 If the bangles are metal or plastic they can also be painted to match. 3. 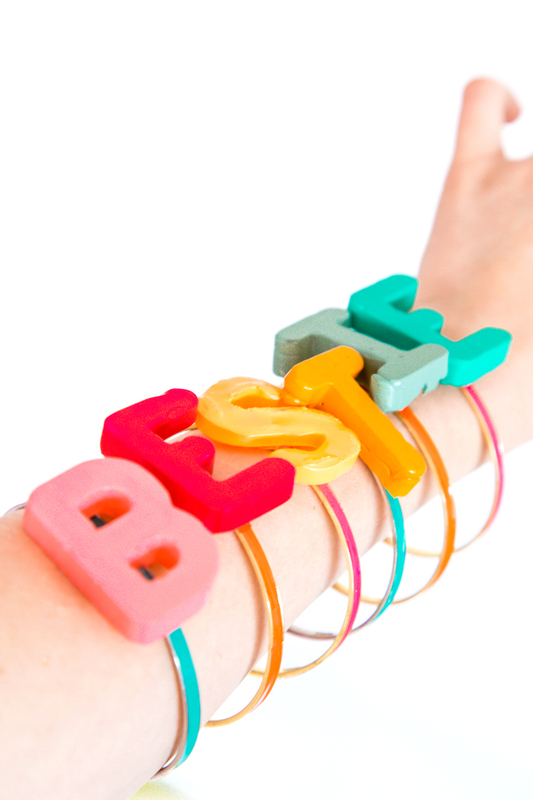 Hot glue is great for attaching the monograms to the bangles. 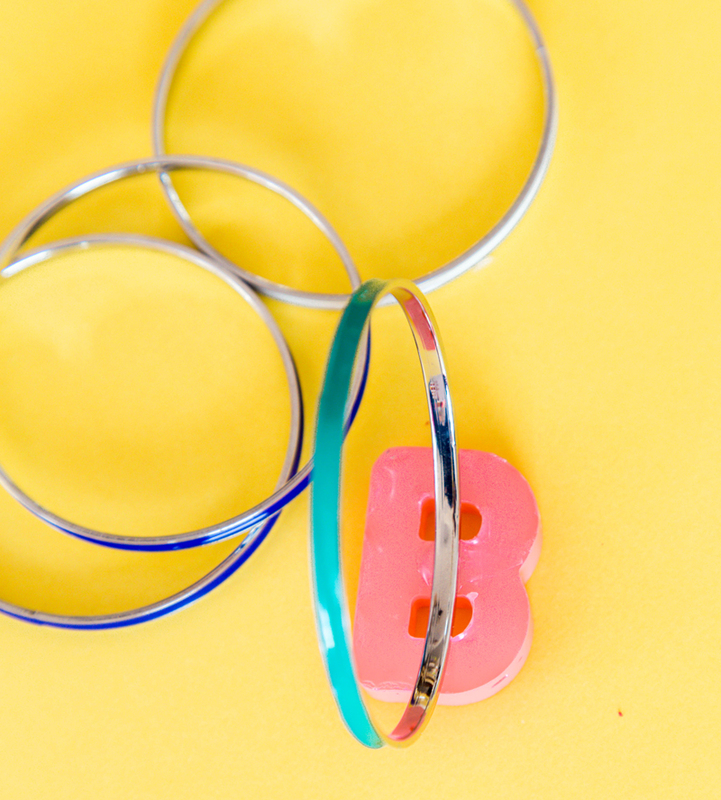 Allow the completed bangle to set for 2 hours before packaging or wearing. 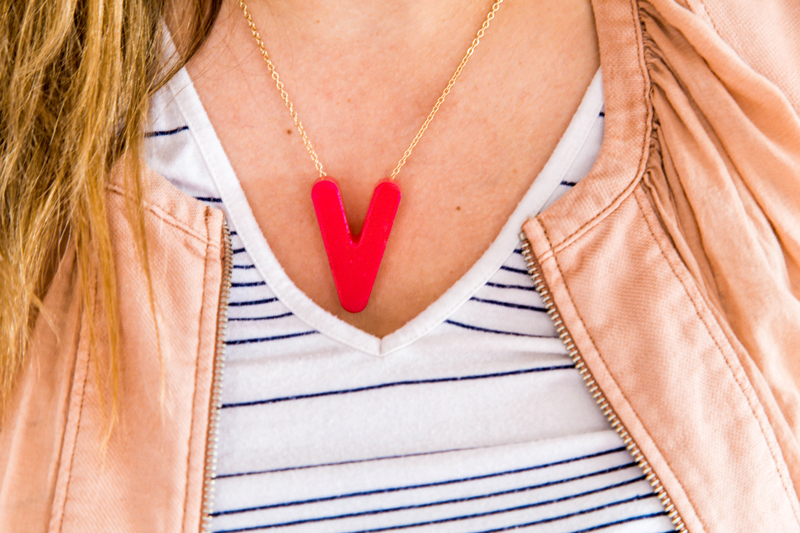 Attach the monograms to a chain instead for a statement monogram necklace. Wear and share this craft all season long – so fun! PS. 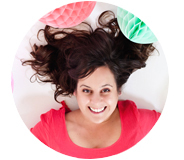 25 Mother’s Day DIY gift ideas.